Today we will take a look at one of the interesting boy names from our list of "Baby Names Ending With The Letters -ry". 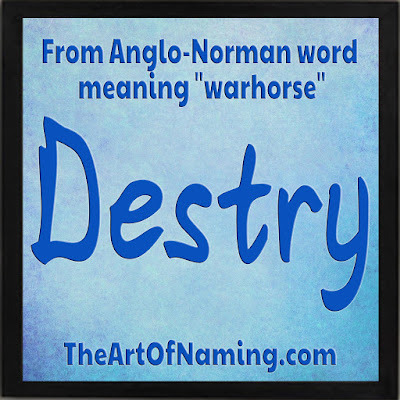 Destry is the English form of Destrier, a French surname derived from the Anglo-Norman word destrer meaning "warhorse". 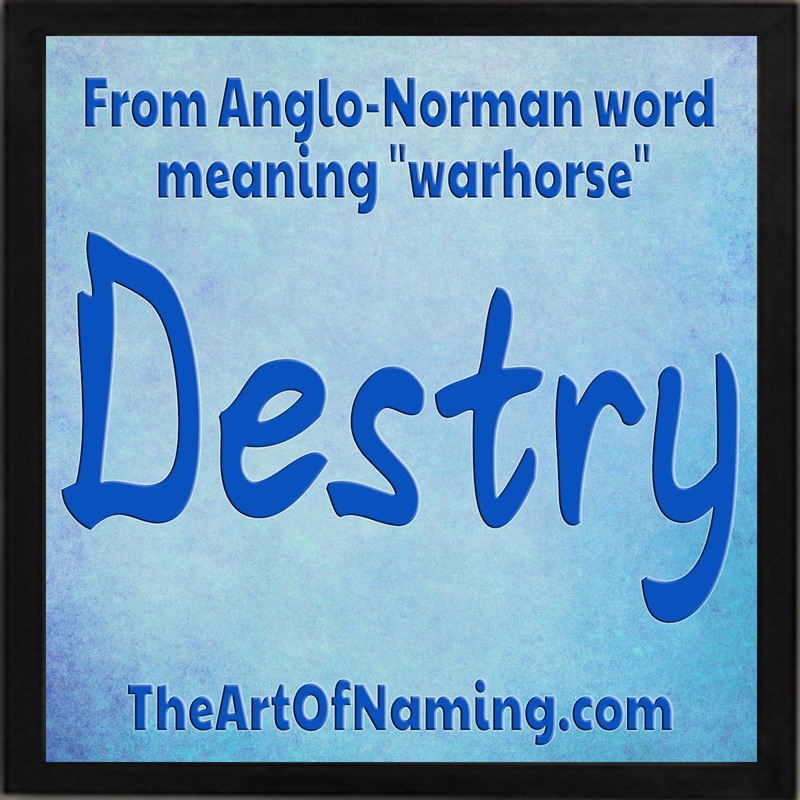 The destrier is the best-known war horse of the medieval era. It carried knights in battles, tournaments, and jousts. Sources of its time called it the "Great Horse" due to its significance. In 1930, "Destry Rides Again" was published by Max Brand. This western novel introduced the name Destry to America, and brought forth films in 1939 and 1954, and a short-lived TV series in 1964. Interestingly, according to Social Security records in the US, the name Destry was not in use until 1955, the year after that second movie was released. 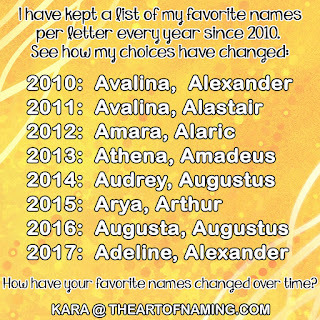 This name's most popular year coincided with that brief TV series in 1964 when 149 boys (and 5 girls) were named Destry. You could label this year as Destry's peak in popularity; one that has never been matched since. The year 1965 only brought 50 births with the name, and it continued to decline thereafter. In 2016, only 10 boys were given this name. These are just ideas. What other name would you pair with Destry?